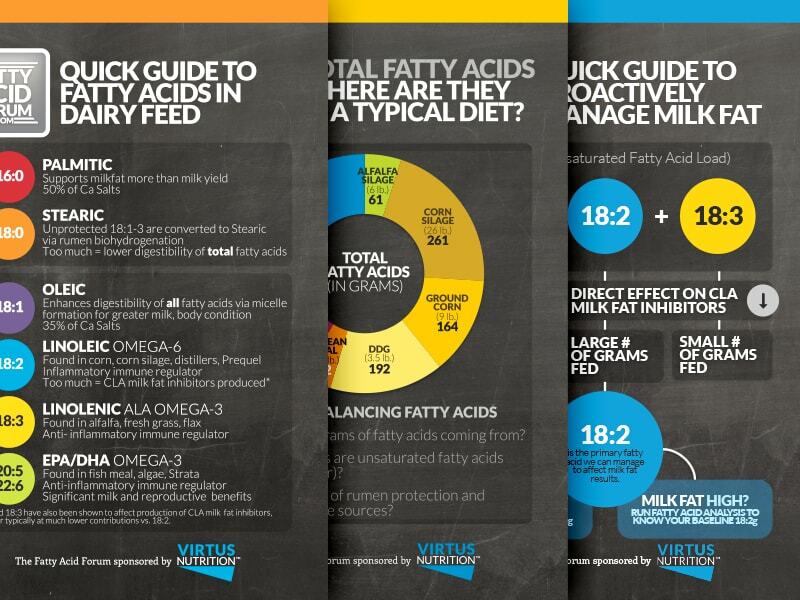 The Essential Nutrient for Smooth Starts… let’s take a look at the research that shows why. 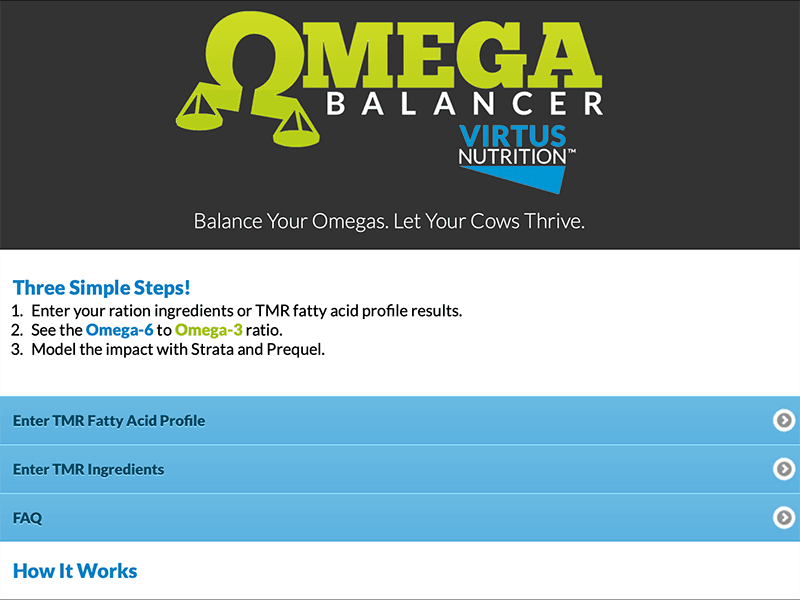 When Prequel is fed at ¼ lb. 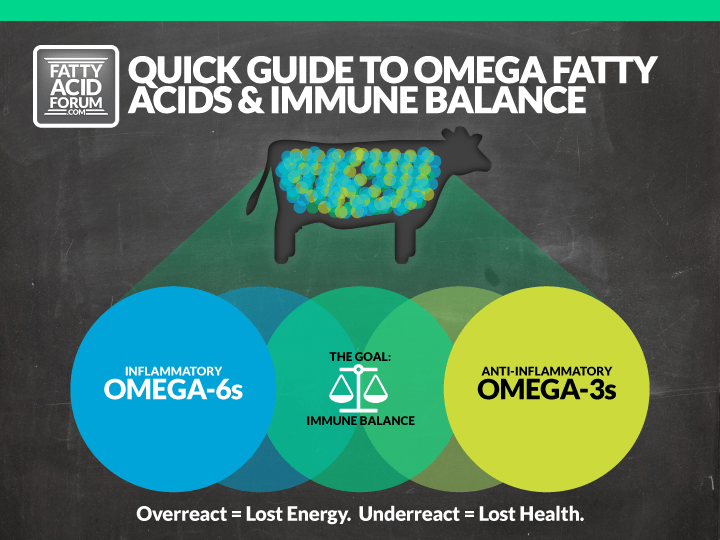 for 21 days prior to calving, NEFA levels are significantly reduced in those first critical weeks post-calving. The University of Florida also found a higher percentage of fertilized structures, leading to higher first service conception. 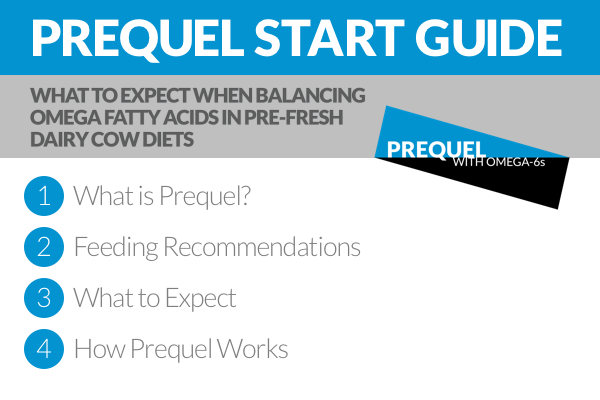 Prequel improves embryo quality by raising the plane of nutrition and health in the pre-fresh period. 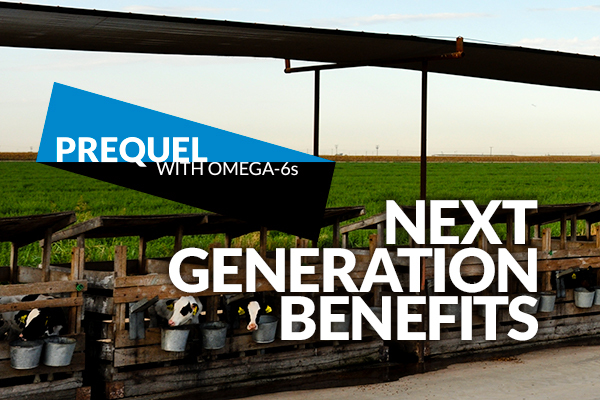 Prequel Omega-6s improve early conception and help cows return to cycling faster. 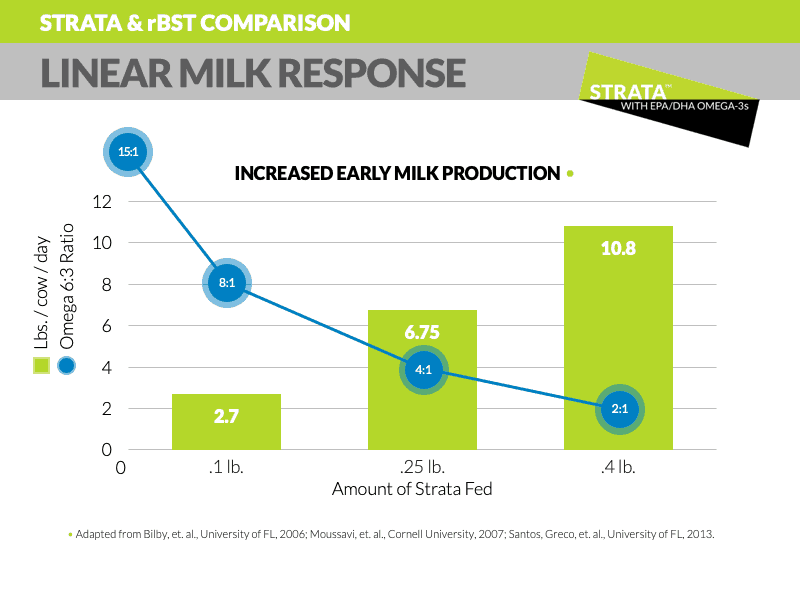 While Prequel improves 1st service, there are additional gains to be found by feeding Strata with Omega-3s in early lactation.